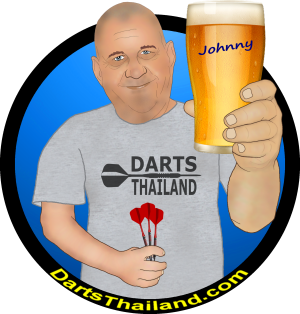 Warm Greetings to all darts players (especially those in cold weather climates) to the always warm & pleasant temps of Thailand. 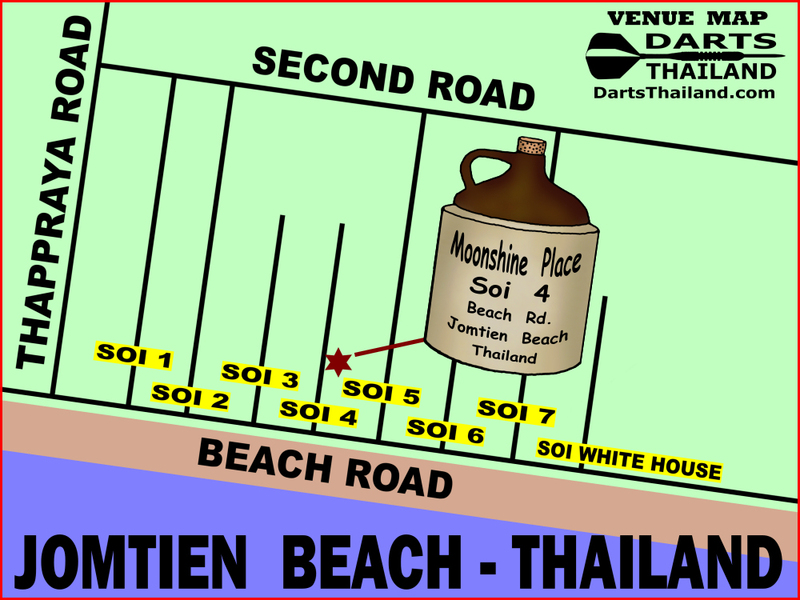 It’s our pleasure to bring you DT’s third report from Jomtien Beach featuring the well known & long time popular Moonshine Place on Soi 4 – Jomtien Beach Road. More than likely the continuation of our Jomtien Beach series will resume in 2019 but who knows – maybe sooner. As you may have already noticed – good organizational skills are not something demonstrated here at DT. 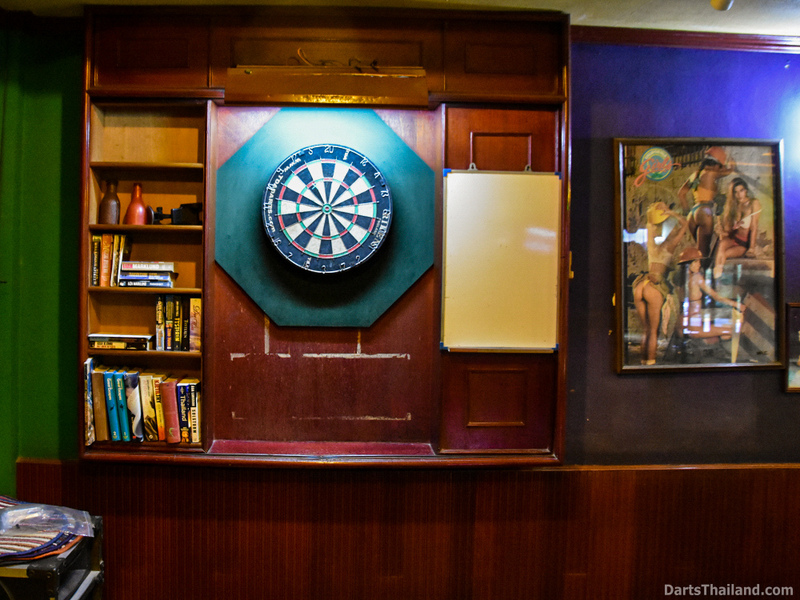 It was great to see our old friends – the brothers Ned and Ted – Moonshine’s in-house pool and darts pros. 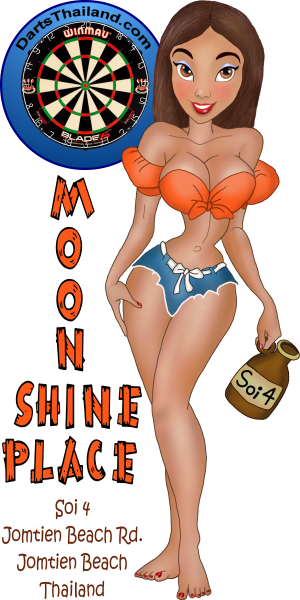 Moonshine has a warm and friendly atmosphere well known to their long time returning customers and easily detected by first time visitors. 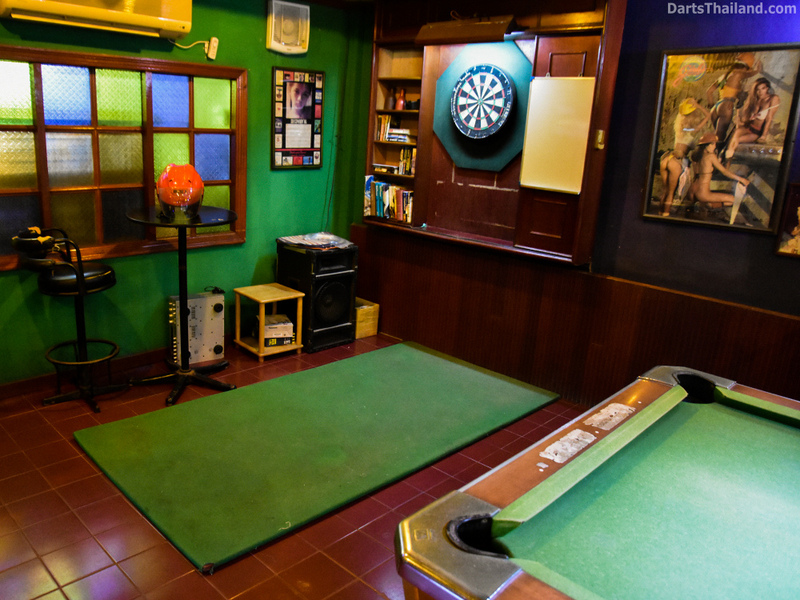 The bar & restaurant is laid out well with a comfortable dinning space and an excellent pool and darts area. 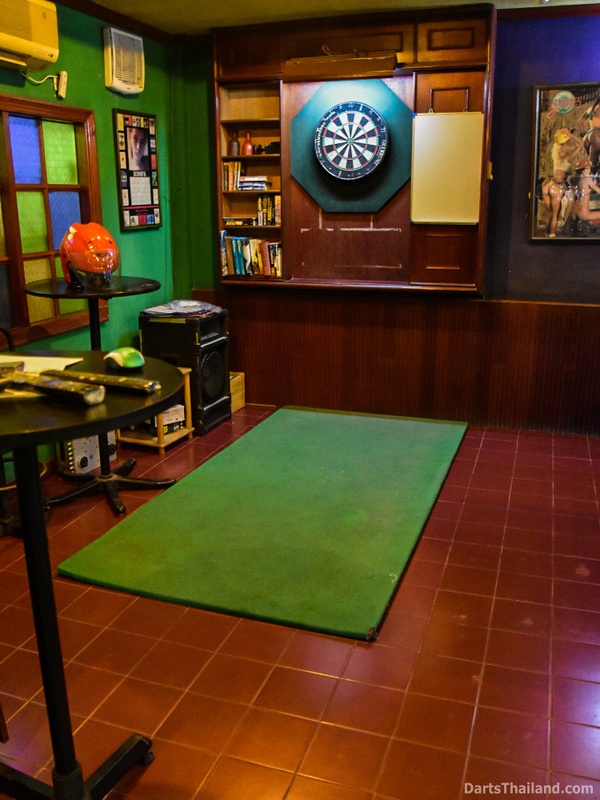 Nothing is cramped by an insufficient amount of space like so many other venues. Another unique Moonshine plus is AC – air conditioning. Windows close up and AC turns on when necessary. Moonshine has a great menu that has a popular international selection as well as some real down home Southern delicacies like biscuits & gravy and grits. I’m originally from NEPA (North East Pennsylvania) where such delicacies are still unknown. But after my career in the army – breakfast served without grits available is unthinkable. Truly diverse – their British style breakfast is another popular choice. 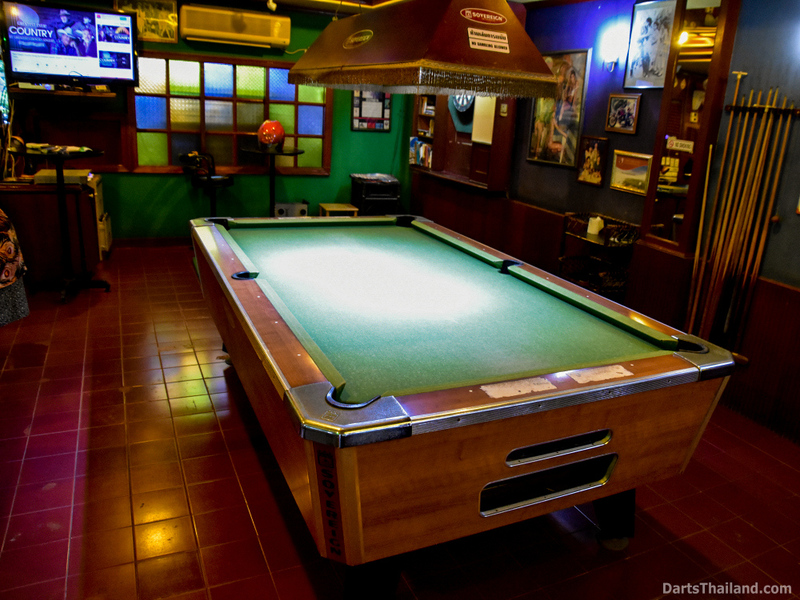 The food menu and bar menu have an excellent selection. 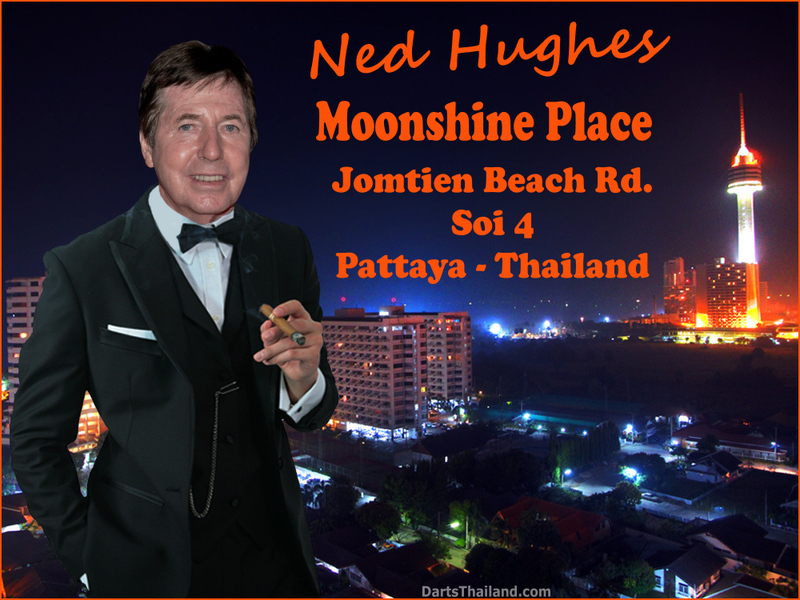 Additionally – if you’re having one of those rough days after and need a little help getting the current day going – Moonshine has the best Bloody Mary on Jomtien Beach. 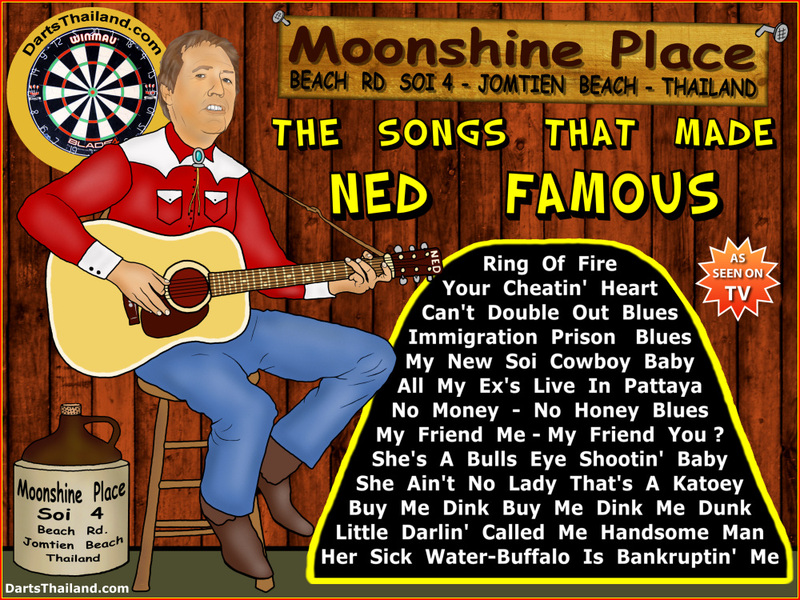 Many of you reading this may remember both Ned and Ted from the good ole classic golden days in The Silver Dollar Bar. 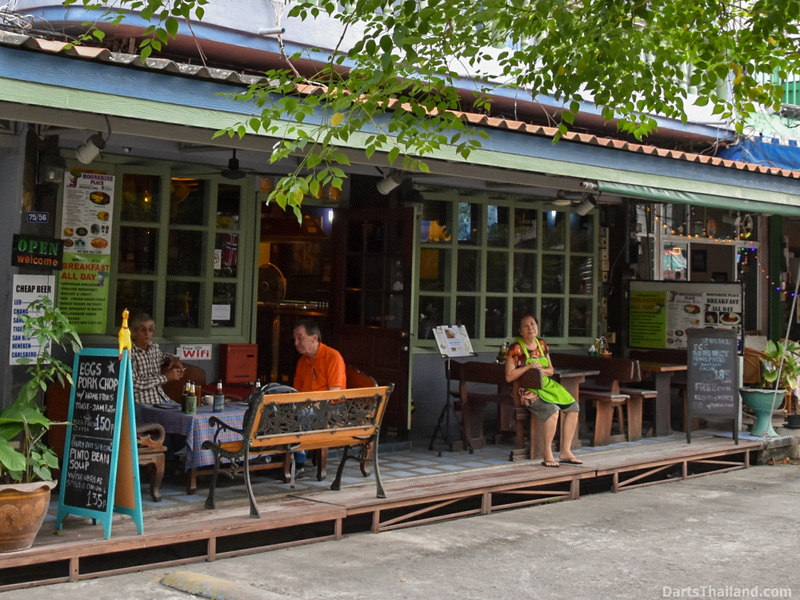 One of Bangkok’s best bars – the Silver Dollar was in Washington Square all of this now a pleasant memory for those of us who knew it. I was going to include some Silver Dollar pics from DT’s photo library in this report but then better decided to do an entire Washington Square feature in the future.